If you own a small business and have tried all the new and expensive marketing strategies, you are not alone. But maybe it is time to take a step back towards the basics with low cost marketing strategies. 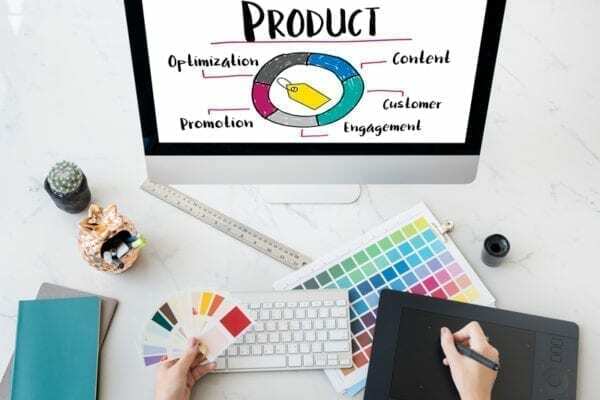 Below are six low budget marketing strategies for a company trying to attract more customers without taking a hit to their budget. For companies with amazing products and services, the only missing link is customer attention. One easy and free strategy includes leveraging online communities and existing traffic to market to customers. The internet is filled with potential customers searching for the best products to fit their needs, so why not take your business directly to them. Existing communities consist of subreddits, Craigslist, Facebook, Twitter, forums, and Quora. For instance, if your business specializes in refurbished furniture, then post your products within Facebook groups focused on furniture. Low budget marketing strategies entail the use of incentives to prompt word of mouth sharing from users. By offering discounts as little as 10 dollars off or 10% off your customer’s next purchase, users are encouraged to share your website with friends or on other platforms. This tactic not only generates new customers and online traffic but motivates current customers to purchase more products. If you are not a big believer in incentives, there is always another way to get your products out. Rather than enlisting customers, leverage your existing network of friends, family, and colleagues to share your business. Your friends and family are always going to support you in whatever you do, so why not ask them to support your biggest endeavor yet: your business. Similar to building relationships with customers, it is becoming exceedingly important for companies to build business relationships with bloggers and YouTubers. Blog and YouTube influencers are fundamental aspects in attracting new customers due to their already established audience. Companies can utilize these platforms by providing free products to bloggers and YouTubers in exchange for reviews. Convincing influencers to share your content allows customers to receive an authentic account of product experience from a trusted source. If your business is service-driven, rather than product-driven, contemplate the idea of working for free in exchange for testimonials, backlinks, and referrals. Take advantage of your network connections by providing services to businesses in the interest of targeting their customers. This low-cost tactic can help your company to gain exposure and generate new leads from an established network of clients. While building online relationships are essential for businesses, nothing beats the old-fashioned face to face interactions. In addition to looking for relevant online communities, researching local groups, industry events, and networking communities is essential for any low-cost marketing strategy. Focusing on establishing personal connections with target audiences will provide your company with a network of potential customers/ clients in need of your services. If you would like more information about low budget marketing strategies, need help determining which strategies are best for your business, or other digital marketing services please contact Pink Dog Digital at (410) 696-3305, email us at info@pinkdogdigital.com, visit us on the web or fill out our contact form.